Mini Pencil Box is rated 5.0 out of 5 by 8. Rated 5 out of 5 by Rena613 from Great for Older Kids As kids get older, they don't need the larger pencil boxes since they don't need markers and crayons and glue, etc. Older students just need pens, pencils, and highlighters for school. This smaller box was ideal for my daughter in high school. I was skeptical that it could hold her stuff, but she managed to fit everything she needed in there. I'm impressed that it's held up for a few years already. Rated 5 out of 5 by ginger from Alexis's Favorite Pencil Box This is perfect for Alexis now that she has 2 schools to go to. Her first one she only has 4 periods and then she is off to another school Boces. She has so many books, this pencil case just takes up the smallest amount of room she needs for it. Especially with everything being so heavy this makes it easier for her to carry. At this age all she really needs is 2 pencils, highlighter, pen, few clips & plus she has room for her lunch money to fit in also. I can not tell you how happy she is with this smaller box and its weight is so little she hardly knows it is there. Rated 5 out of 5 by Rebeccabur from Perfect! I got these for my kids to keep their colored pencils in. Something they don't use everyday in school, but handy to have separated from their other school supplies. Easy to grab and keep organized! Rated 5 out of 5 by NaturalMommy from A favorite of mine The mini pencil box is my favorite item to get myself and kids for back to school supplies! They love anything mini! My teen puts some of her makeup in this box too! I keep my desk organized by using this box for erasers, coins, and staples! Can not have too many mini boxes!!! Rated 5 out of 5 by Annie Lorrie from This mini-case is versatile! Our church uses these cases for our yearly school supply give away. We also use them as soap cases for our program to have hygiene supplies available for homeless individuals. These cases are a bargain and have countless uses. Rated 5 out of 5 by KristenB from Perfect for Unifix Cubes! We do a LOT of activities with Unifix cubes in first grade. A few years ago, one of my teammates found these boxes and realized that a stick of 10 Unifix cubes fits perfectly in this box. You can fit 6 sticks of 10 Unifix cubes in them. This makes it very easy to pass out Unifix cubes for math activities! 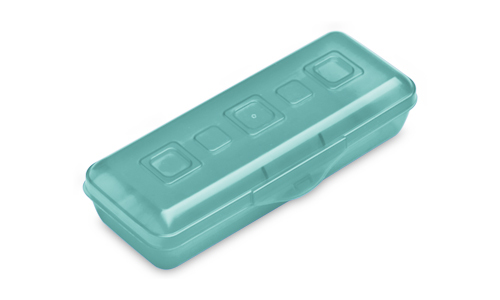 Rated 5 out of 5 by Good Value from More than meets the eye These mini pencil boxes don't seem "mini" at all. I have one filled with pens, pencils, highlighters, and even a flash drive. I accidentally drop it all the time and it has never been damaged so it is quite durable even when it's full. 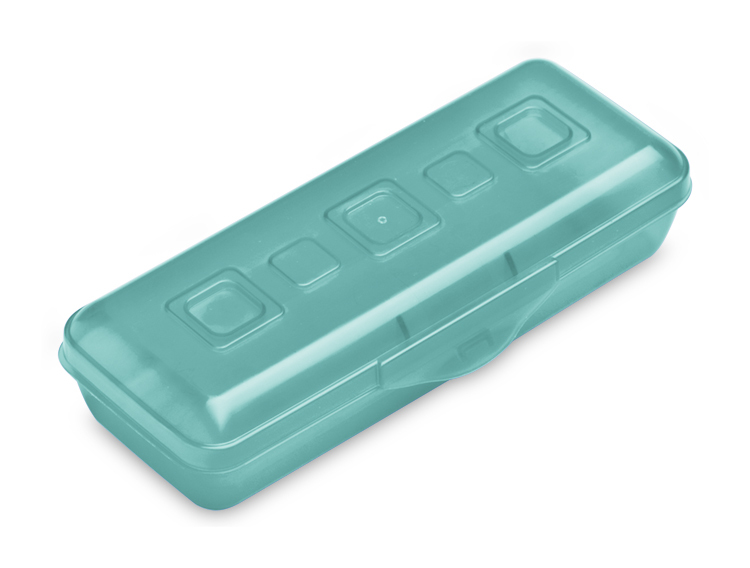 Rated 5 out of 5 by gramscl from This product was a great solution for my storage problem I use this mini pencil box in my bathroom mirror/cabinet. I had been looking for a storage box small enough for the narrow space and your mini pencil boxes fit perfectly. I would reccomend this to any consumer with the same storage problem.